In line with our third annual workshop (Prague, 2015), one of our event will be held as a satellite event of the EUROMAR Conference, this time in Aarhus, Denmark. For more information about the EUROMAR Conference, please click here. 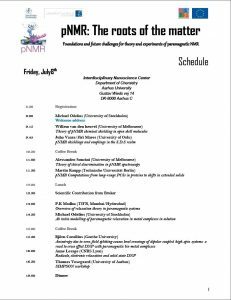 You can contact us at euromar16@pnmr.eu. This training workshop will address a range of topics on experimental and theoretical developments in the field of paramagnetic NMR applied to the characterization of new functional materials and molecules of chemical interest. Leading specialists in the field will provide a unique mix of tutorial lectures on new NMR experiments and advanced theoretical models, and advanced research reports. For hands-on experience a tutorial of the SIMPSON software is included. The workshop will therefore represent an excellent opportunity to discover, to discuss and to network for both newcomers and experienced researchers in the study of paramagnetic systems. Michael Odelius (Chair, Stockholm University), Juha Vaara (University of Oulu), Martin Kaupp (TU Berlin), Thomas Vosegaard (University of Aarhus), Guido Pintacuda (CNRS Lyon), Cécile Gozlan (CNRS Lyon). There are no formal registration fees for this scientific workshop as it receives funding from the PEOPLE program (Marie Curie Actions) of the European Union’s Seventh Framework Programme FP7/2007-2013. However there is a limited number of participant spaces available. Lectures will take place in the “iNANO auditorium”. iNANO is located at the corner of Langelandsgade and Gustav Wieds Vej. The main entrance is from Gustav Wieds Vej where there is a parking lot with free parking spaces. An entrance is also available from Langelandsgade. More information can be found on the Midttrafik website. You can also find a an online ‘a – b’ journey planner here : Rejseplanen. It works for all Denmark. The Bus 16 towards Hasle stops across the road (Langelandsgade) 100 meters from iNANO. You can find a bus 16 plan here, and a pdf with bus stops here. The most convenient stop is the ‘Kemisk Institut’. Get the app called “Conferences”, open it and search for “EUROMAR 2016”. Then you’ll see the entire program for the conference. Participants to the EUROMAR Conference can extend their stay in the hotel of their choice directly on the EUROMAR registration form, just by mentioning their actual leaving date (i.e. at least Saturday 9th July if you plan to attend the pNMR training). To access the EUROMAR registration form directly : http://www.kongreskompagniet.dk/EUROMAR-2016-Registration. To book your accommodation, you can either contact the EUROMAR conference organising company by sending them an email with your requirements at euromar2016@kongreskompagniet.dk, or book your accommodation in the hotel of your choice by your own mean. Please be aware that the rates mentioned above cannot be guaranteed if you contact hotels directly. Thank you to fill in our registration form before the 20th May 2016. 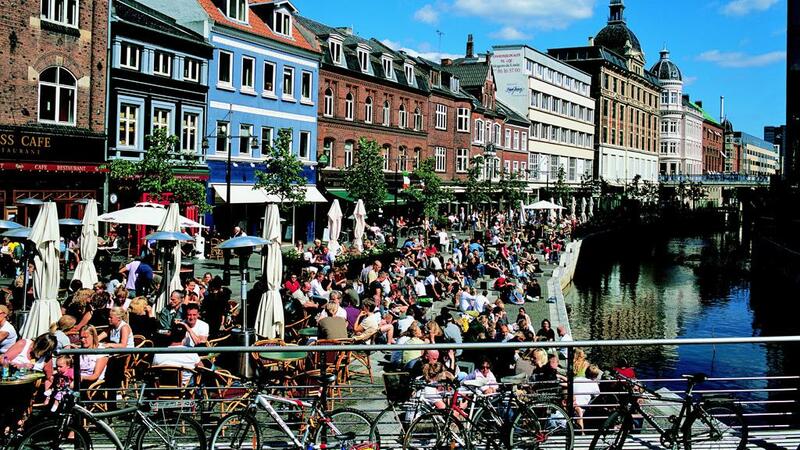 Aarhus is the second biggest city of Denmark located next to the sea and surrounded by forests, bringing nature close to the city. 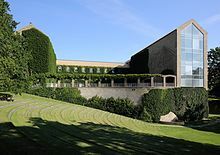 Being a university city, Aarhus is the youngest in Denmark measured by average age, but historically one of the oldest. Thus, the atmosphere is a vibrant mix of youthful energy and blasts from the past. Getting to Denmark is easy. Denmark is a peninsular in Northern Europe, which means you can go by car or train from any of the North European countries. Århus is close to the E45 motorway. 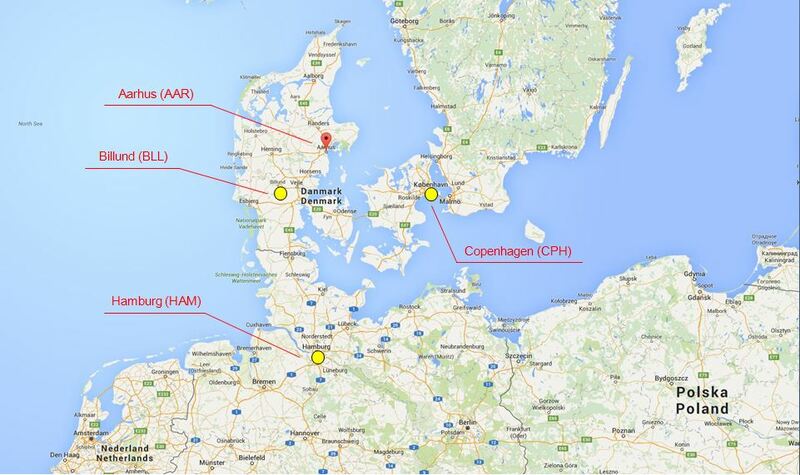 There are flights from several destinations throughout the world to three different airports in Denmark. If you arrive in Copenhagen Airport – the largest in Scandinavia – you can either choose to fly on to Billund Airport, or Århus Airport,, or you can travel by train or rent a car. From both Billund and Århus Airport there are airport busses to Århus. Aarhus is easy to reach from four international airports. 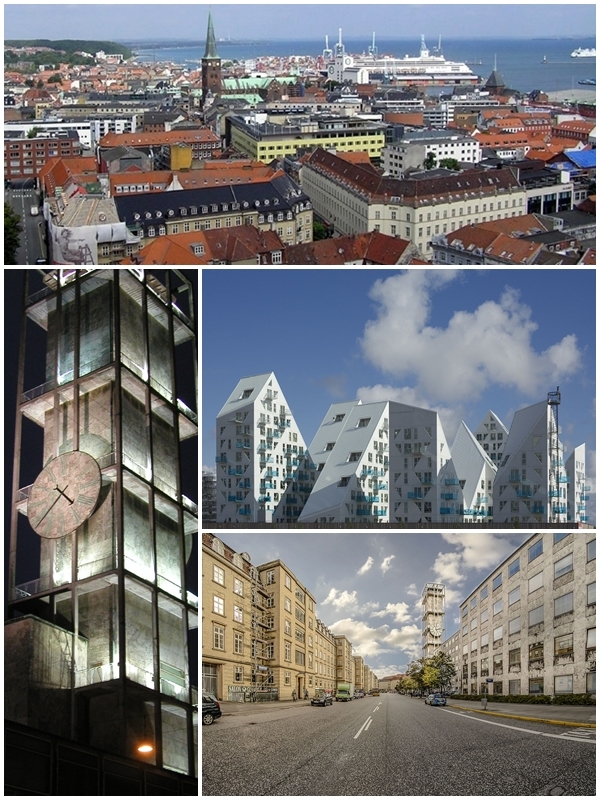 Aarhus (AAR), Billund (BLL), Copenhagen (CPH), and Hamburg (HAM). Aarhus Airport is located at Tirstrup 40 km north-east of Aarhus, offers direct international flight connections. There is an airport shuttle bus to Aarhus from Aarhus Airport (Midttrafik). Tickets are sold on the bus. Most foreign currencies and credit cards are accepted. The travel time from Aarhus Airport to the city of Aarhus is approx. 50 minutes. One-way fare costs DKK 100 (Summer 2015). There are predefined stops along the route, final stop is at the railway station in the city centre (Hovedbanegården). Billund Airport is located 100 km south of Aarhus, has international flight connections. There is an airport shuttle bus to Aarhus from Billund Airport, called RUTE 912X (Rejseplanen). Tickets are sold on the bus. The travel time from Billund to Aarhus is approx. 1 hour. One-way fare costs DKK 155 (Summer 2015). The bus stops at the railway station in the city centre of Aarhus (Hovedbanegården), final stop is at the bus station in Aarhus (Rutebilstationen). Copenhagen Airport is located at Kastrup and is Scandinavia’s biggest airport with about 65 airlines operating from Copenhagen Airport and with more than 20 million passengers every year. If you land at Copenhagen Airport, you may take the hourly train directly from the airport to Aarhus, and after that a bus/taxi. From Hamburg, Aarhus is easiest to reach by renting a car at the airport. The car drive is around 3 hours. There is ferry service between Aarhus and Kalundborg, Aarhus and Sjællands Odde and from Norway and Sweden to Frederikshavn and Grenaa. As in all parts of Denmark, Århus has an efficient road network which allows for easy driving access directly to the city – Hamburg is only a 3-hour drive. It is possible to park at the venue.